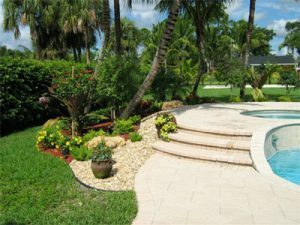 Landscape Designer Coral Springs increases your homes value, your community appeal and protects the environment. Quality landscaping creates an atmosphere for relaxation as your personal get away at the end of the working day. We are passionate about landscape design and committed to providing creative, one-of-a-kind design solutions customized to fit the needs and lifestyle of the individual client. Our talented team of designers brings out the best features of your property, skillfully extending your living and entertaining spaces out into the landscape. Landscape designers Coral Springs are trained in plant and soil science as well as design, and we consider this knowledge to be the foundation on which we build colorful, elegant four-season planting designs for your property. We evaluate the health of native soils and plant materials at the start of each project in order to ensure healthy, gorgeous landscape results.